Yoga twists almost immediately invoke a feeling of "ahhh", a sweet release. Twists are known for aiding digestion, relieving back pain, and increasing spinal range of motion. Moving the spine in rarely used spiraled directions is healthy when done safely. However, it is possible to twist dangerously or too far which puts the back muscles, spine, and shoulders at risk for injury. So before you practice deepening your yoga twisting poses, it’s important to warm-up the spine and back muscles. The spine has four movements: flexion, extension, lateral flexion, and rotation. Prepare your range of motion with forward folds (flexion), backward bends (extension), side bends (lateral flexion), and gentle twists (axial rotation). Try a few rounds of Sun Salutations and get the spine ready with range of motion exercises. Here are 5 twisting tips to ensure that twists provide that positive, deeply satisfying feeling while avoiding strain and injury. Before initiating a twist, it’s important to align the spine to set up for a deeper and safer twist. We can use the breath to facilitate this process before any twisted pose (supine, seated, or standing). Using ujjayi (yogic breath), lengthen through the torso on the inhalation. 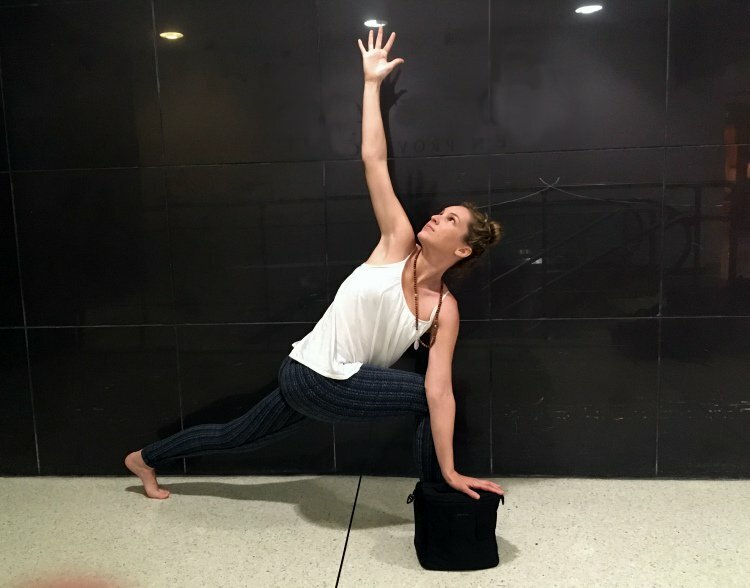 For seated and standing twisted poses that incorporate the arms, extend the arm (opposite arm of the twisting direction) upwards to the ceiling on the inhale. Elongating the torso will provide a little more space between each vertebra to allow for a fuller twist. The slow ujjayi exhale launches the twisting movement. In the twisted yoga pose, continue breathing with a deep inhale and deep exhale through the nose. With each inhale, try to length more through the spine, extending all the way through the crown of the head. And with each exhale, twist a little bit further. Just remember: inhale lengthen, exhale twist. Our range of motion varies down the spine—with the base having the lowest ability to rotate, and the neck possessing the greatest capacity to rotate. Because of this difference, it can be helpful introduce the twist to the lumbar region (lower back) first, and work upwards to the thoracic region (mid-upper back). From here, ensure that the chest and ribs are broadening and also rotating towards the twist. The final piece of the twist progression should be rotation of the cervical spine, which is generally when the gaze slowly moves towards the direction of the twist. This method will ensure that each section is rotating optimally. The core muscles protect the spine and facilitate the movement of rotation in twists. Igniting the entire core, especially the obliques, transverse abdominis, and erector spinae muscles will help stabilize and protect the spine during twisting poses. 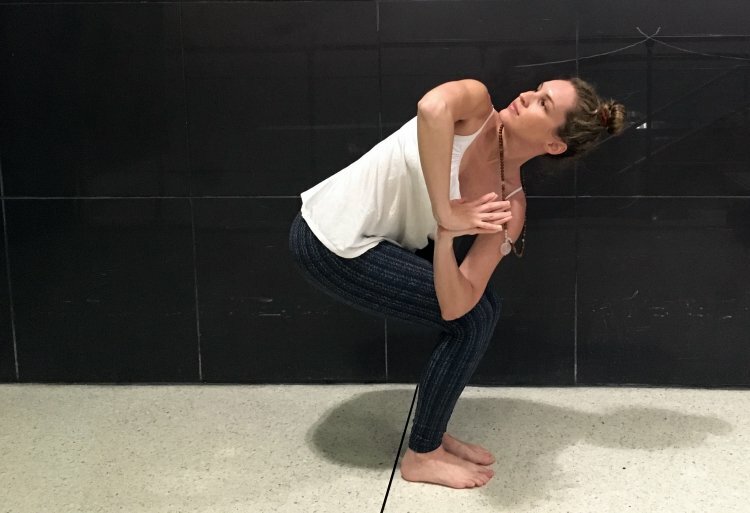 It’s also important to protect the shoulder girdle in yoga twists since we often incorporate the arms (especially in the form of anjali mudra, palms touching at heart center). 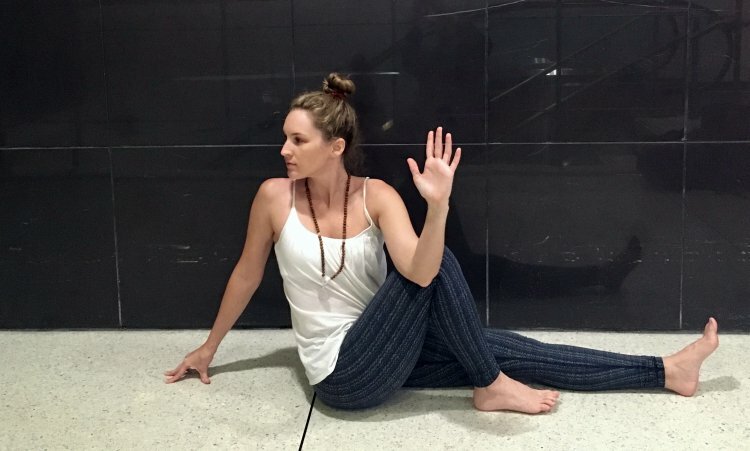 Let’s picture Revolved Crescent Lunge Pose. You want to avoid overusing the resistance between the “hooked” arm and leg to twist deeper. Over-twisting this way can put not only too much pressure on the spine, but also on the sensitive shoulder girdle. The hips play a big role in yoga twists. We can see this play out in Revolved Chair Pose—the knees should stay in line with one another which ensures the hips are in proper alignment. If one knee tracks out farther than the other, you may be dropping one hip which displaces the twist. Keeping the hips "square" can prevent lower back pain and increase the twisting potential. Sometimes it's impossible to keep the hips perfectly square in twists, but just try to keep reaching the thigh bones back and engage the quadriceps. In standing or seated twisted poses, try using a block under the lower arm to prop the posture and take the strain off the twist. You can play around with using the vertical or horizontal side of the block depending on your personal degree of rotation. 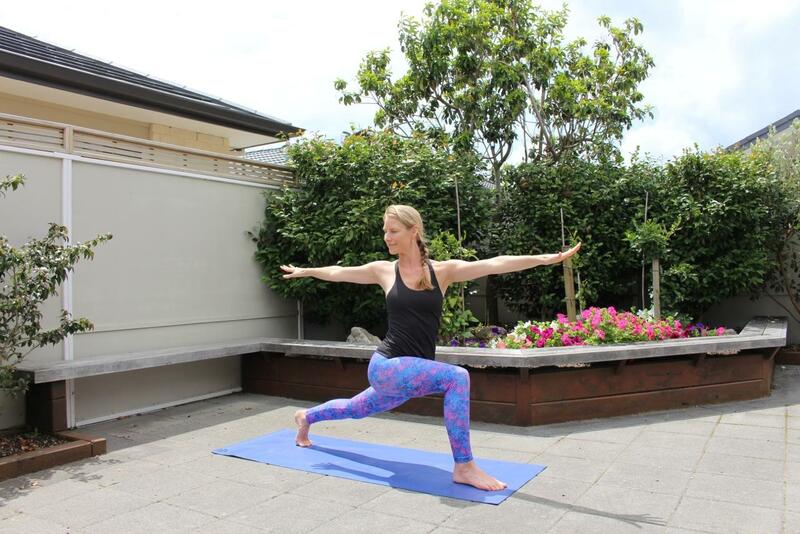 The key to twists is finding steadiness and ease in both the dynamic rotating process and the static pose. That “feel good” feeling that twists provide is a big perk, but putting your back at risk in order to achieve a “feel greater” feeling just isn’t worth it. Over-rotation can happen, especially when we use the arms as leverage to push the twist deeper. So be mindful in your twists, progressing slowly and safely.